Home » eCommerce » How Do I Find and Choose a Merchant Service Provider? Credit cards have been around since the 1920s when oil companies and hotel chains began issuing them to their customers to buy at other brick-and-mortar outlets. Today, a big chunk of credit card transactions have moved online. Now, a single credit card transaction requires an intricate web of payment processors and encryption software to authorize transactions made around the globe—all in less time than it took you to read this sentence. Merchant service providers (MSPs) facilitate the steps in this transaction process. So, they’re an integral part of any business. But there are many different MSPs today, which makes it hard to sort through them all and their terms of service agreements. High processing fees eat away at your profits. Bad security puts your customers’ data at risk. Here are some guidelines for identifying and choosing the best merchant service provider for you. What’s a Merchant Service Provider? The main service that a merchant account provider (MAP) offers store owners is a merchant account. These accounts hold funds in limbo while authorizations are made, credit limits are checked, and payments are processed. After the transaction is complete, funds from your merchant account can then be moved to your business account. This usually takes a few days. Many different merchant service providers are also MAPs, including banks, payment processors, or payment gateways. If you’re a brick-and-mortar store looking to start selling online, you may be able to use your current merchant account for your online transactions as well. Some of the larger MAPs, like First Data or TSYS Merchant Solutions, also include credit card processing with their merchant account agreements. Merchant account services offer different account types, fee structures, processing volumes, and transfer times. Examine these when choosing one for your business. Aggregated merchant accounts hold funds from many different businesses, while dedicated accounts contain funds only from your business. Payment systems like PayPal use huge, aggregated funds to help offset risk from fraudulent or inept business owners. The more funds pooled, the more likely there’s enough available to cover any fraud, returns, or mistakes. Since dedicated accounts lack this aggregated fund safety net, the underwriting process is more stringent. Dedicated accounts are harder to get if your credit score is on the lower end. Aggregated accounts mix high risk and low-risk merchants together. So, for merchants with lower credit scores, aggregated accounts are much easier to start. Generally, the higher your sales volume, the less cost it takes for you to accept a credit card (i.e., your processing fee). The more you sell, the lower your transaction rate. Store owners with dedicated accounts can negotiate their merchant rates based on their sales volume, credit history, and market risk. Those with aggregated accounts are tied into contracts and can’t haggle. And if an aggregated account contains too many fraudulent merchants, the account’s entire payment process can be canceled or restricted by a credit card company—that means yours too. Your MAP will charge you a processing fee that’s based on a flat rate, interchange, or tiered pricing model. Flat rate. MAPs charge a set price per transaction, fixed percentage, or a combination of these. Flat rates are good for small business because they make it easier to predict costs. Interchange pricing. MAP takes the current interchange rate and marks up the price to cover their service. (e.g., 2.9% + $0.30). Since the interchange rate fluctuates, so will your fees. Tiered pricing. Rates depend on many factors, like the type of card used (credit vs. debit vs. reward). Because of its complexity, I don’t recommend tiered pricing for small businesses. MAPs offering “introductory rates” can raise their fee structure unexpectedly. Be wary of these low-entry offers. Ask what the new rate will be after it resets. Your MAP agreement may establish a monthly cap to the number of transactions you can make per month. Volume can be based on sales (e.g., $10,000/mo) or processing (e.g., 10,000 transactions/mo). If you go over your cap, your MAP may deny new customer orders, and you’ll lose sales. You can ask your MAP for an increase in your processing volume, but approval will take time. Before settling on a MAP, determine what your monthly transaction cap will be and how it will affect your future growth. Decide on a volume cap that will guard against overages, yet expand with your business. Some MAPs also have monthly minimum transaction fees. A typical fee is around $15. Even if you make no sales for the month, you will be charged the minimum fee. For small businesses that depend on steady cash flow for buying stock, transfer times from merchant to business account can determine whether you have products available. Transfers usually take about 24 to 72 hours to process. But several factors can affect transfer times. For example, when a customer requests a refund, your merchant account will receive a chargeback request, which will lengthen the processing time. Check to see if your MAPs’ transfer times match your cash flow needs. Payment services providers (PSPs) connect merchants to the electronic financial system so they can accept credit and debit card payments. Unlike MAPs, they tend to be larger companies that run massive aggregated accounts. PSPs like PayPal and Square offer accounts that are easy to acquire but are also easily frozen or terminated. PSPs have low barriers to entry, which puts them more at risk for fraud and abuse. Therefore, their termination terms of service agreements are much more stringent. Here are some pros and cons of using a PSP. One of the advantages of a PSP is that it handles many of the nuts and bolts of connecting to credit cards, bank accounts, and external networks. Merchants have less responsibility for connecting with these financial institutions, which is especially helpful to small businesses who want to sell overseas. But PSPs often take longer to respond to emails or technical issues compared to a dedicated, full-service MAP. PSPs don’t charge the monthly maintenance fees that some MAPs do, and there’s typically no monthly minimum processing fee. PSPs also offer other merchant benefits that MAPs don’t—like fraud protection or next-generation payment methods, such as digital wallets like Venmo. While you will save money by not paying monthly fees, you’ll definitely pay more in transaction fees with a PSP. For example, PayPal’s transaction fees are 2.9% + $0.30 per sale, while a typical merchant account fee structure is much lower (1.8% + $0.12 per transaction). Large PSPs are popular targets of data cybercriminals who can steal millions of customer accounts. These companies have big targets on their backs, and using them puts you in the crosshairs as well. Although PSPs must be PCI compliant, they keep you and your customers’ data less secure than merchant account providers. When a PSP detects too many chargebacks or customer complaints on your account, they can limit the number of transactions you can make. If you unknowingly sold a dozen pairs of counterfeit sneakers, the overwhelming number of customer chargebacks could be a red flag for your PSP, and they can completely freeze your account. A payment gateway provider (PGP) links your website to your processing network and merchant account. An online payment gateway is like a virtual credit card machine. Instead of swiping or inserting their credit cards, customers enter their payment credentials. A payment gateway’s main function is to securely transmit payment data throughout the transaction process. So, having a payment gateway that’s known for its security helps reassure your customers their data is safe. Here are some things to consider when picking a payment gateway. A payment gateway isn’t provided by every PSP. Some require you to open one, others don’t. If a PSP does offer a payment gateway, it could save you a step in setting up your payment process. Authorize.net and PayTrace are both examples of PSPs that have their own payment gateways. Your MAP may or may not offer one. All payment gateways have encryption to keep customer information safe. But some encryption methods that are safer than others. For example, tokenization is an encryption method that removes the need for credit card data in the transaction process, making it safer than other methods. One advanced encryption method to look for is Transport Layer Security (TLS). The PCI Standards for merchants have recently changed. Payment gateways must comply with these regulations. You can check a payment gateway’s website to see if it meets the current PCI Data Security Standards for encryption. Find a payment gateway that integrates with the most critical parts of your business, like your eCommerce platform (e.g., WooCommerce) or your invoicing software (e.g., QuickBooks online). Seamless integration not only makes your website run more smoothly, but it also makes your payment gateway safer. For instance, integration with your invoicing software will save you tons of time transferring payments while keeping your books more accurate. Integration saves you money. Payment gateway fees typically include a flat monthly fee, credit card charges, and chargeback fees. Here are some examples of the various fees from some popular payment gateways at time of writing. Chargeback fees can cut into your profits quickly, especially if you sell hundreds or thousands of items per month. The more individual sales, the higher the chances of returns and chargeback fees. If you’re just starting out in eCommerce, you need something simple to use, with predictable costs and plenty of payment options. 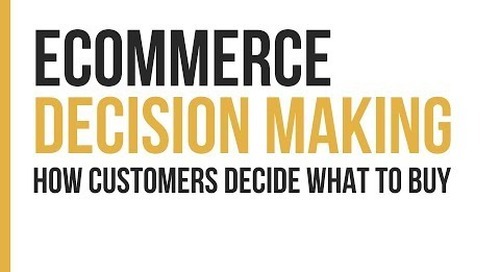 Predictability and flexibility help you reach the most consumers possible. But as your sales grow, you gain access to other perks, like volume pricing. You’ll have the ability to negotiate transaction rates. But if your merchant service providers don’t offer volume pricing, you can’t take advantage later. You’ll need to change hosting plans as higher sales volume draws put more strain on your website. In short, the payment processing needs of a new business are vastly different from the one it will become. So, in your excitement to get started, keep an eye on the future when choosing your merchant service provider. Need a Hosting Plan Designed for eCommerce? Liquid Web’s Managed WooCommerce Hosting solutions integrate with over 100+ payment gateways. 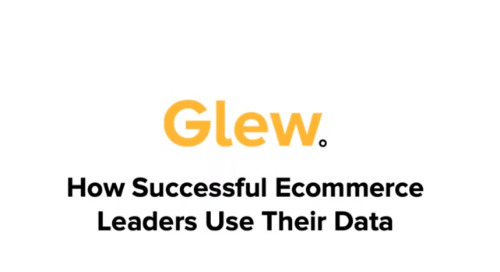 We’ve built a different set of tables to store order data that reduces query loads by 95% and helps your store load faster. The post How Do I Find and Choose a Merchant Service Provider? appeared first on Liquid Web. 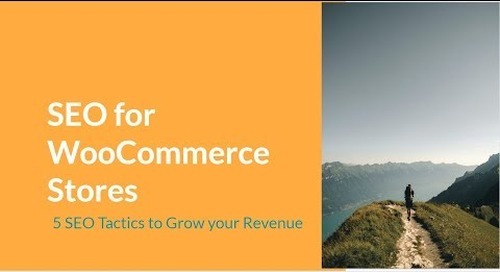 What’s a Tracking Pixel and How Can I Install and Use It on My WooCommerce Store?